Catching the early morning flight at 6:30am from San Diego into SeaTac, we were both tired and famished. Luckily, I had booked a towncar to pick us up and drive us to Goose's house in Bellevue. We had ditched our car there prior to our Mexican cruise and also had some packages to pick up on the way back. 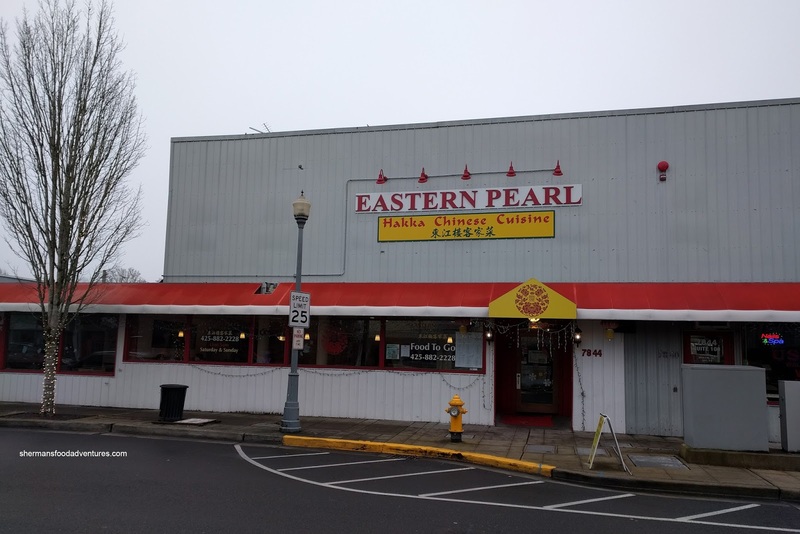 After loading the car in the freezing cold (we didn't have winter wear), we made our way over to Redmond for some early morning Dim Sum at Eastern Pearl. Since we were a bit short on time, we were happy to see a push cart full of our favorites. 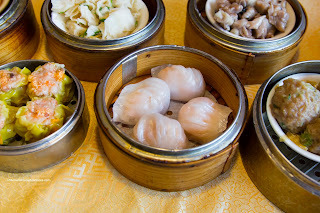 I ordered everything at once including the Ha Gau (Shrimp Dumplings) and Siu Mai (Pork & Shrimp Dumplings). 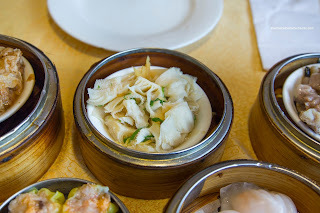 As much as the Ha Gau looked legit, the dumpling skin was too thick. Inside, the filling was a combination of mousse and little bits of shrimp. 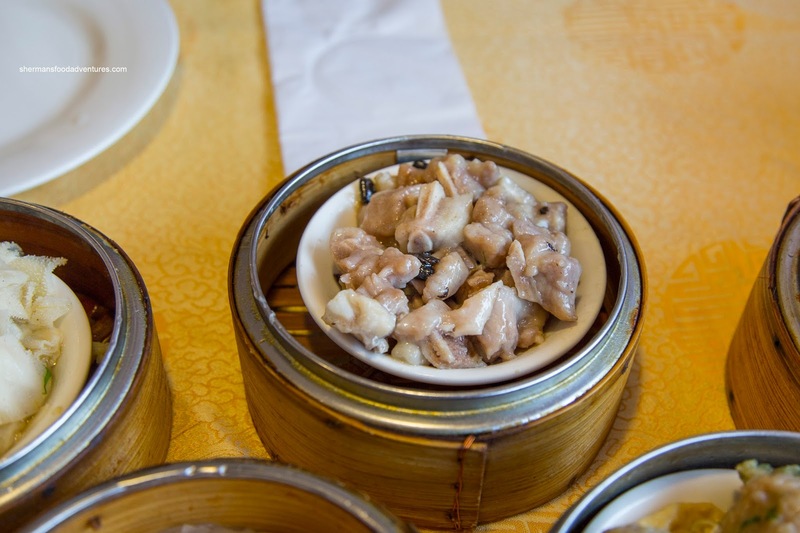 It had a somewhat rebound texture and did taste shrimpy. 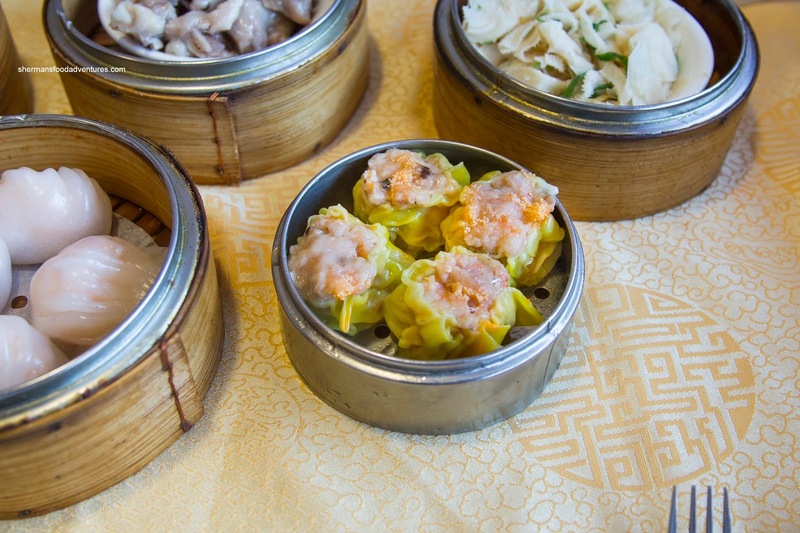 We thought the Siu Mai were better with chunks of fatty pork that were tender, moist and bouncy. 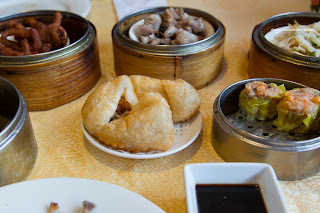 The pieces of shrimp had a nice rebound while the dumpling was mildly seasoned with the natural taste of pork. Of course I had to get some offal (since I didn't have any in Mexico! doh!) in the form of Steamed Bible Tripe with ginger and green onion. 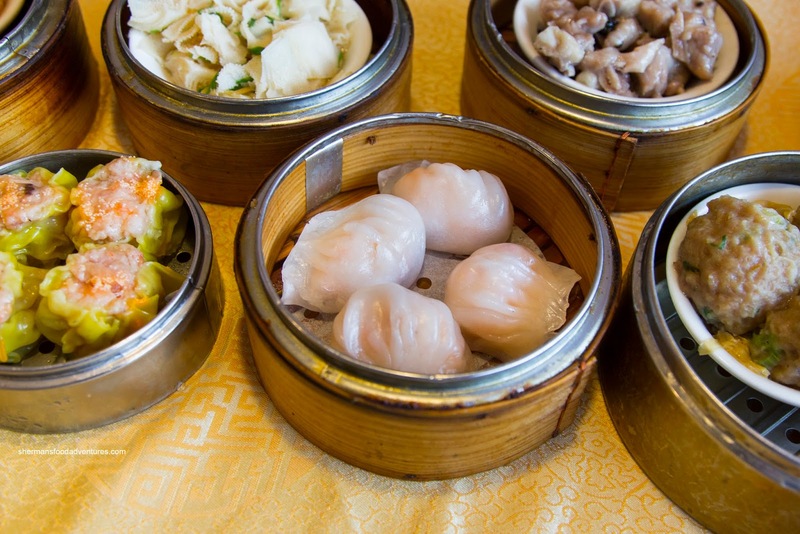 We thought the flavors were on point with the sharpness of ginger married with the brightness of the green onion. They didn't over-salt the dish while the tripe itself was not gamy. However, we felt they over-tenderized the tripe as it was too soft and lacked bite. Onto the Bean Curd Skin Rolls, the exterior was appealing with a firm chewiness that was moist. Interestingly, the filling consisted of pork and cabbage which lightened things up from the usual meat dominated type. 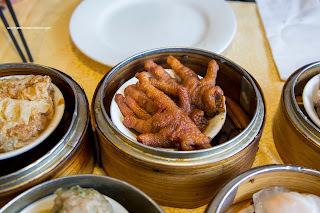 Normally, it is very hard to find a really good version of Phoenix Talons (Chicken Feet), even in Vancouver (lots of good Dim Sum choices), but the one here was actually very good. Visually, the chicken feet were large and plump prepared in a rich dark hue. Texturally, the skin was nicely fried while the rest of the cartilage and fat were buttery with some bite. The dish didn't eat greasy (despite being skin) and the garlicky flavor was apparent. On the other hand, the Deep Fried Dumpling was texturally off. 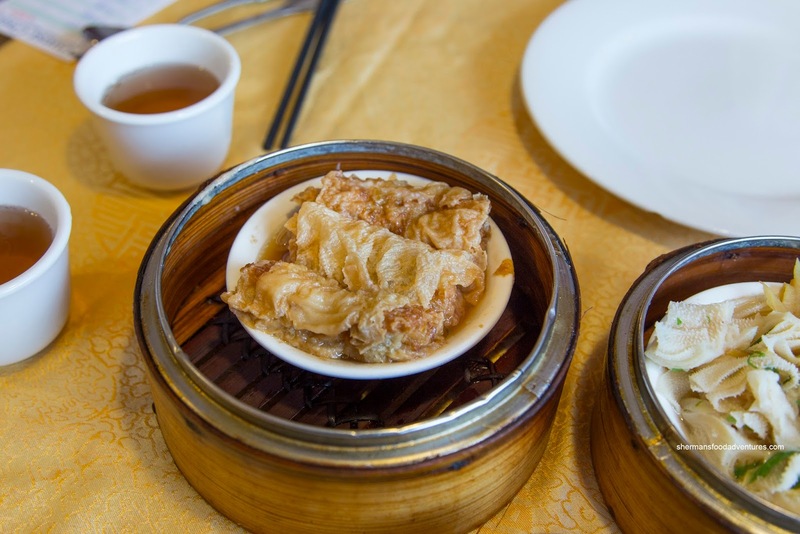 It was large and full of pork filling, but the exterior glutinous layer was too thick and soaked up far too much oil. Hence it wasn't crispy nor appealing to eat. Despite its pale colour, the Beef Meatballs were decent though with just the right amount of green onion where it didn't overwhelm. 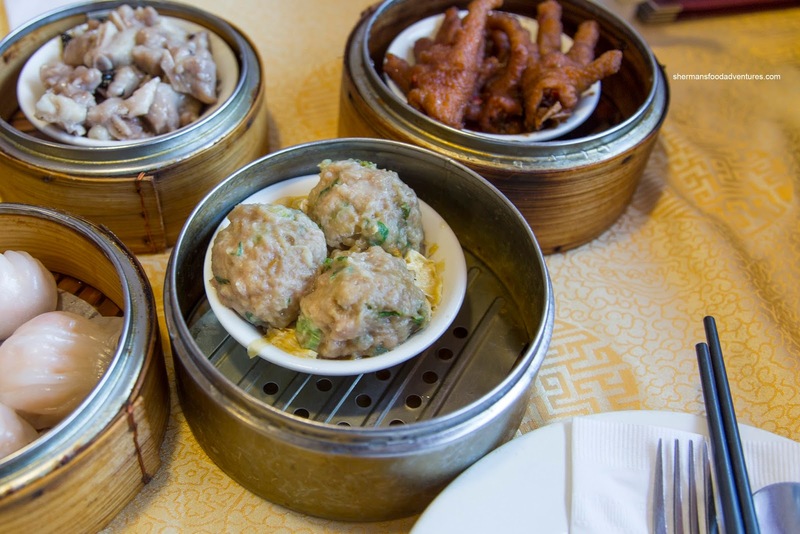 The meat itself was well-processed where it was tender, bouncy and airy. I would've liked to see a bit more seasoning as the meatballs were quite bland, but I guess that is what the side of Worcestershire sauce was for. Lastly, the Steamed Black Bean Spareribs were not bad considering I could actually taste the black bean. As for the ribs, they were meaty with minimal fat and cartilage. There was the classic rebound texture as the meat was not over-tenderized. Clearly, this wasn't the best Dim Sum we've ever had, but given the circumstances, it did the job in a serviceable manner. It was also easy on the wallet too.